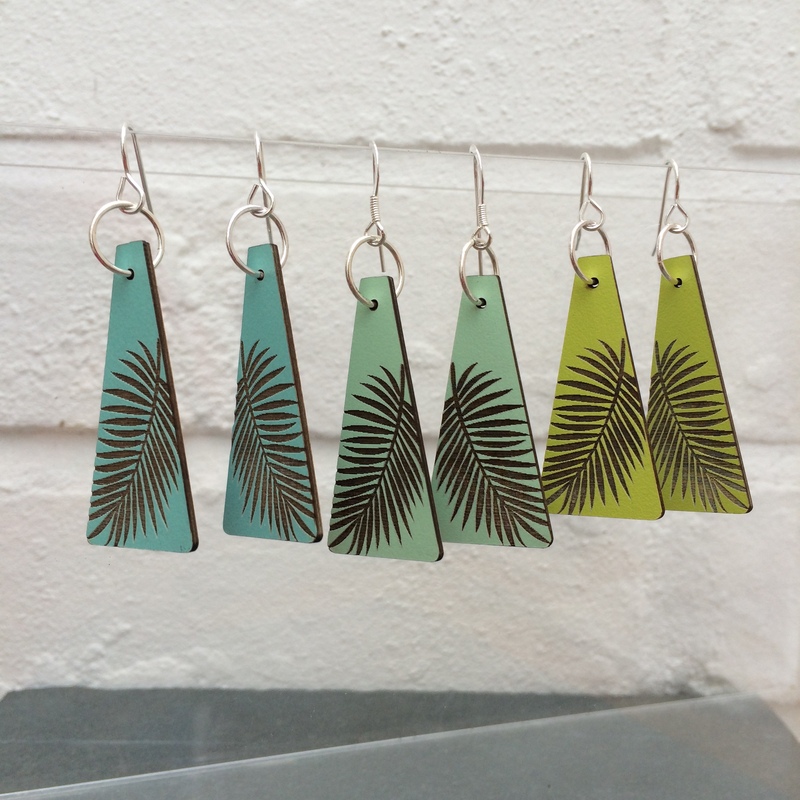 Two artists in Cornwall collaborating to produce a unique range of affordable handcrafted jewellery, using Sterling Silver and Formica. 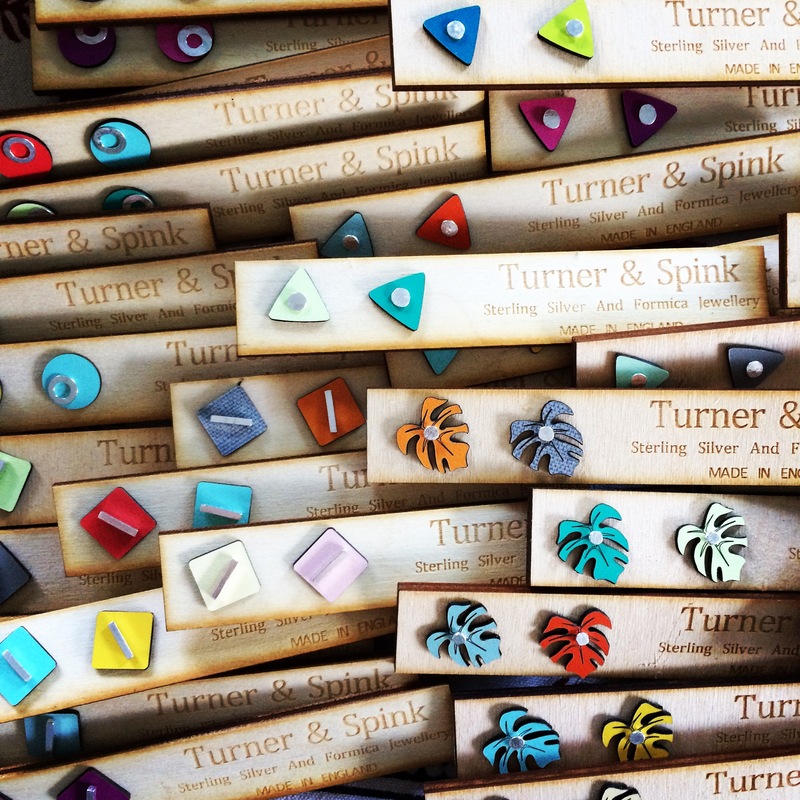 When you buy a pair of our Formica studs, you are buying 4 pairs of earrings! 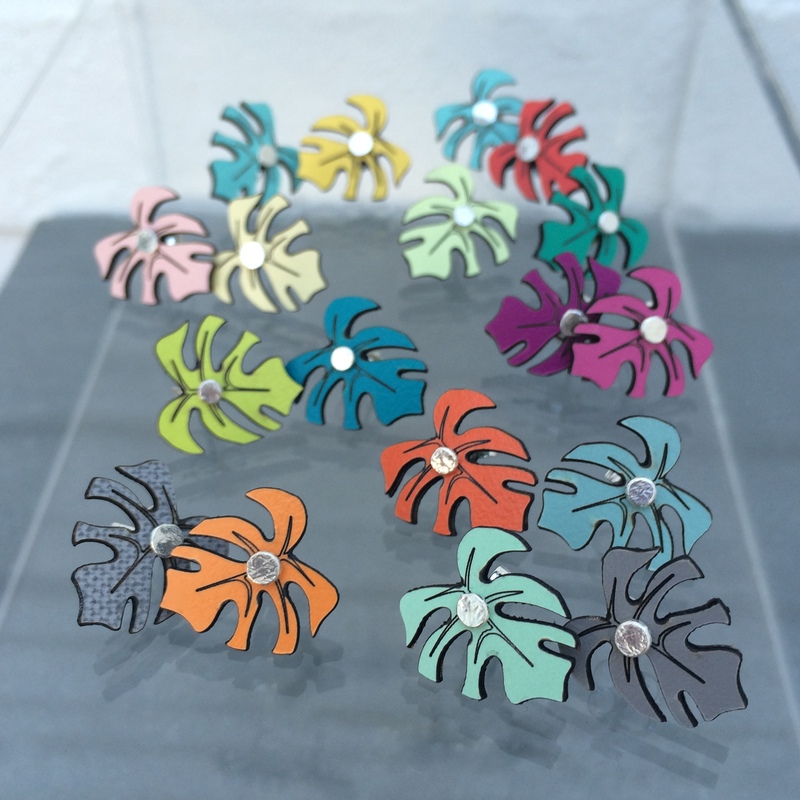 The removable and reversible formica backs can be worn as 2 different colour sets, or as one of each, and the removable silver studs can be worn on their own.